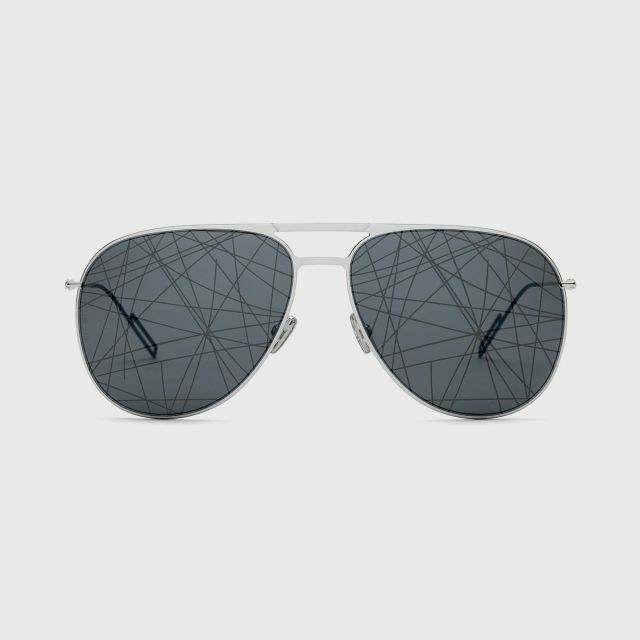 "Dior0205S" aviator-style sunglasses made in ultra flat and ultra thin silver metal. 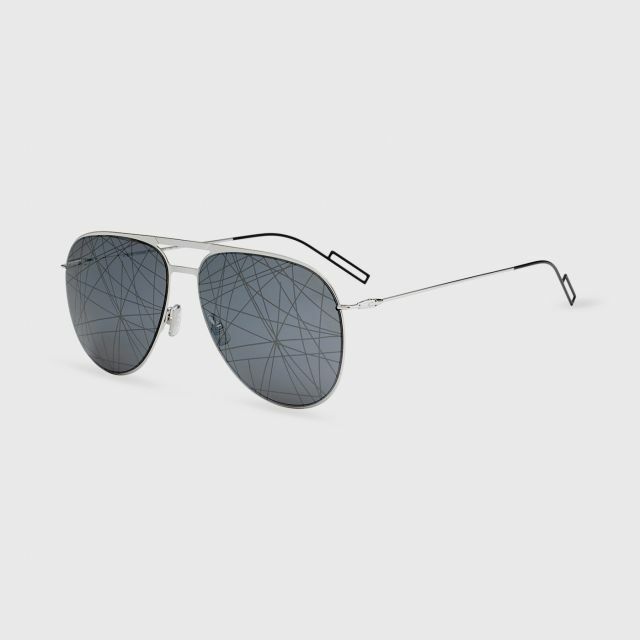 The temples are openworked and reveal the emblematic Dior Homme "cut" at the endtip. Super bronze lens color with judgable nose pads, metal frame in Black tone. 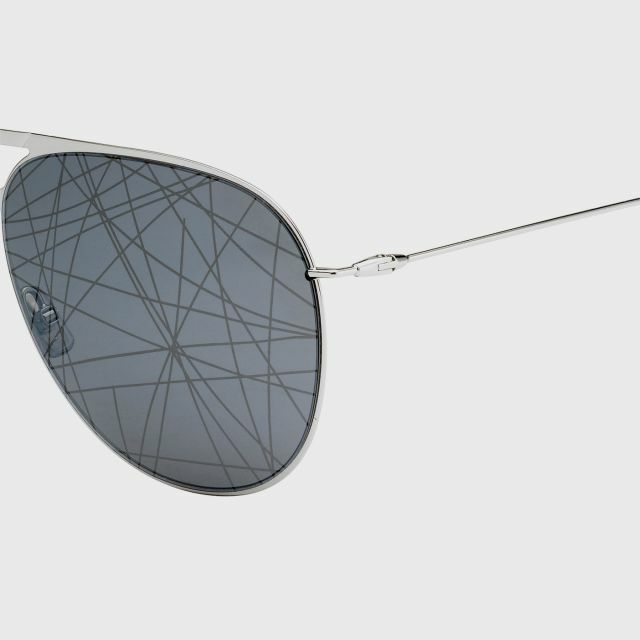 The silver mirrored lenses ensure 100% UV protection.